Adding a servo motor! 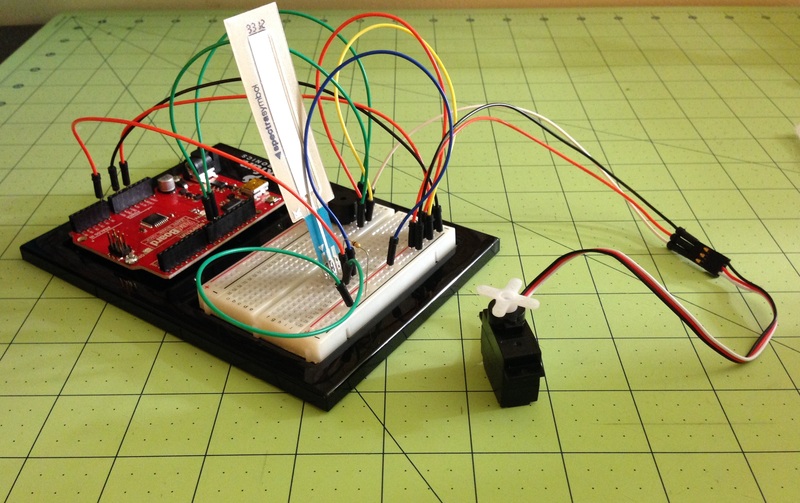 This motor will function as “wag” and will move when the soft potentiometer is touched near the top – creating a high pitched “happy” noise from the peizo buzzer. It does not move at all when the sensor is touched at the bottom and the low (growl) tone occurs. Now to add a tail!